Home » Blogs » Zander's blog » Free Rehearsal Space (Including Power) in Long Beach! 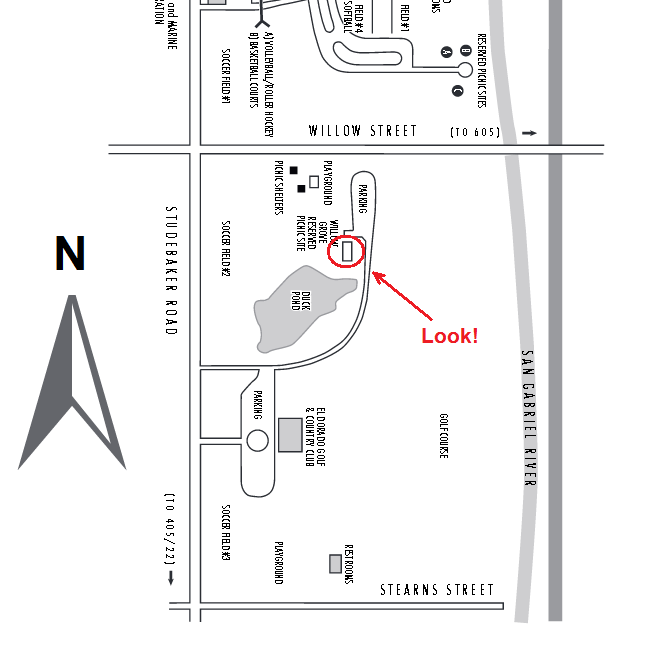 Free Rehearsal Space (Including Power) in Long Beach! This article is more for humor's sake than anything else... However, that doesn't mean that the opportunity still cannot be taken advantage of. When I get myself a new band together, I have a feeling that I'll be giving this a shot, if only for the fun of it. Continuing, if you scroll down on the Reservations page, you get to a header called "Picnics". I believe that this section and the "Recreation Park Band Shell" is the expected reservation fee. Say, for a non-profit or a family, $220 doesn't seem so bad. But again, we're not going to be reserving the bandshell, right? We're just going to show up and see that it's not being used, and then use it. Hint: Every time I have been to this park, the "Band Shell" wasn't being used. It might even be a cool thing to rent the Band Shell occasionally for a non-profit concert for people to come and merely appreciate the performance of heavy music. Unfortunately, in all cases, due to the arrangement of the building and the unencumbered vehicular and pedestrian access, all concerts would have to be free concerts as there is nothing stopping people from coming and going. Bonus! Yes, there are available bathrooms (they don't smell so good, but they do work) in the back! 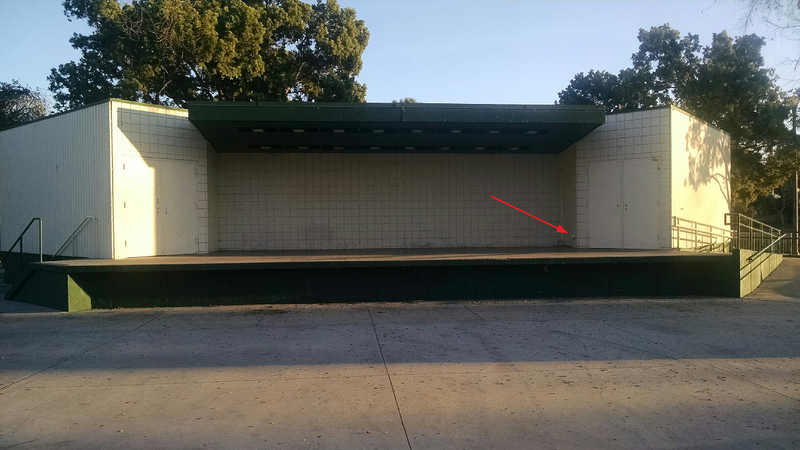 Here is the page that describes the El Dorado Park West where this bandshell is located. You can also, below, see a picture (generously taken and provided by me) of the bandstand. It's big enough to accommodate a pretty large band. From what I saw, it could probably accommodate 2 bands, side-by-side, with four to six band members apiece. Second picture down (yes, the black-and-white one), shows exactly where in the park this bandshell can be found. I know... I know what you're saying... "Now wait a minute, Zander! You said power too!" Yes, I did. Take a closer look at the first picture, the one with the bandshell. See the red arrow so cleverly drawn in there? That's where the power outlet is. Now, take a look at the picture at the very bottom of this article. I tested for power. 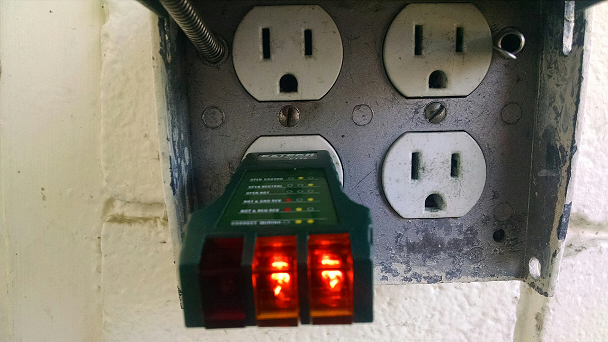 My tester shows there is power. You no longer have an excuse as to why you can't play loud! If you live in east Long Beach or the nearby environs, go have some fun and rehearse a time or two!